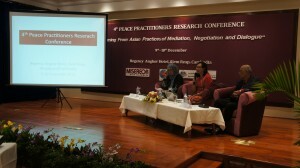 Organised and hosted by CPCS, the annual Peace Practitioners’ Research Conference (PPRC) aims to enhance the sustainability of peace work in Asia by providing a space and opportunity for peace practitioners, researchers and scholars to reflect on and share successful peacebuilding theory and practice in the region. By exploring the relationship between theory and practice, the PPRC aims to stimulate learning from local peacebuilding practices initiated by practitioners across the region and to identify, consolidate and share best peacebuilding practices. 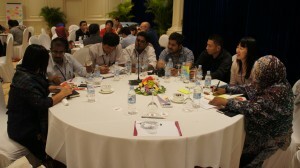 Each year, the PPRC provides an opportunity to for participants to hear different perspectives on dialogue, mediation and negotiation, discuss similarities and differences in practice, and to meet and engage with a range of different actors in the peace processes. 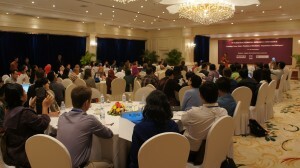 The conference serves as platform for networking and collaborative learning, as well as challenging the nexus between existing peacebuilding theory and practice, and promoting new, innovative and home-grown approaches to peacebuilding in Asia. C PCS contributes to the existing body of conflict transformation knowledge by publishing and disseminating conference papers presented and discussed at each PPRC.